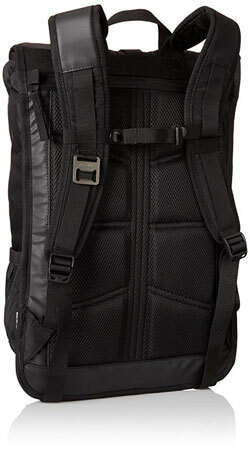 With the hustle and bustle of our busy lives today, we need travel gear that will really “have our back”. Backpacks are versatile travel companions that free up your hands fore more important things. 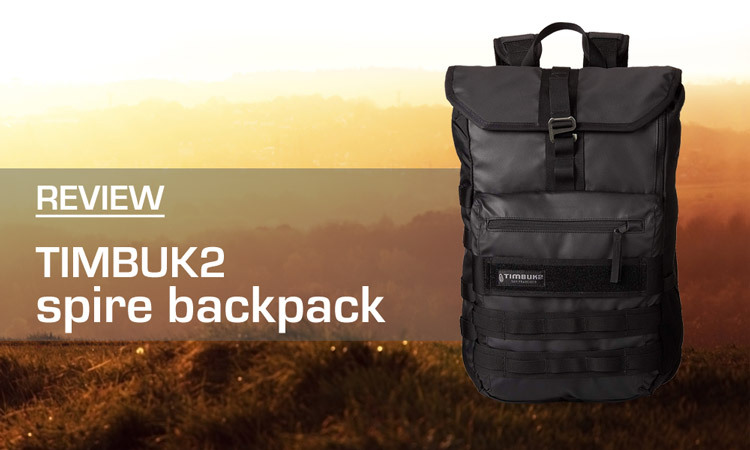 The Timbuk2 is a trusty sidekick with plenty of features that will do it’s job as you jet around. 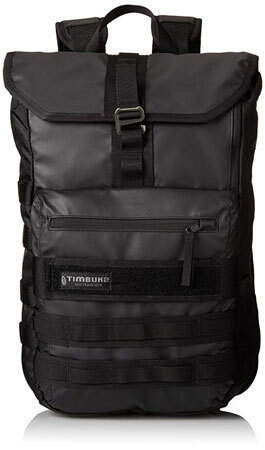 The Timbuk2 Spire backpack is available online at Amazon. The Timbuk2 Spire, is a bag that offers versatility. This backpack has understated urban vibe. It’s lightweight, plus rip and water-proof. On the outside of the bag, there’s a ton of loops you can attach carabiners to to hold whatever you might need. One unique feature of this bag is the large velcro strap that runs across the front. The thick strap has Velcro on the outside and inside so that you can attach various things to. A U-Lock would certainly be securely fastened here. On the left side of the bag you have even more straps and loops to utilize. Then on the right side is a handy water bottle holder. The most visible outside pocket of the Spire opens up to a external zippered pocket good for items you want easy access to. There’s a mesh liner that gives some separation within the pocket as well. On the right side of the Spire there’s a less obvious zippered side pocket that conveniently runs the width of the backpack. The zipper on the back of the bag just below where the top of the straps attach gives you direct access to the inside of the bag above the electronics pockets. This makes getting out your laptop or tablet a lot easier than most roll-top bags. The Spire is best suited for an on-the-go bag when traveling around the city or elsewhere. The straps are minimally padded so the bag is not to bulky. It also offers a removable sternum strap. There is ample space interiorly on the Spire. When unrolled and fully open, you’ll see it’s quite deep! This bag is a deceptive 30L for sure. Plenty of room for daily essentials plus some. On the backside of the main compartment, you have two electronics pockets which are both smartly lined to protect your valuables. With users in mind here, there is one compartment for your laptop and another for your tablet. This makes it so they never scratch or bump against each other. 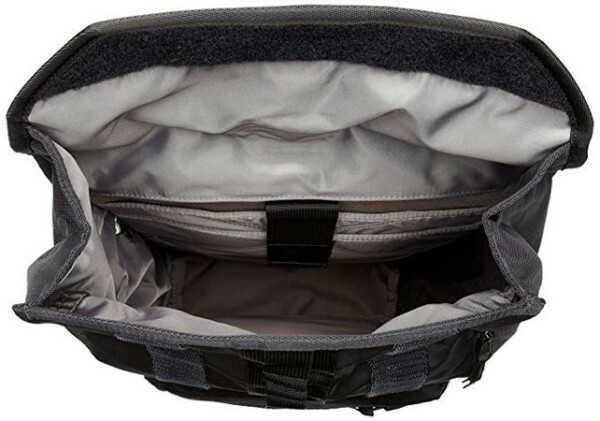 A large velcro strap allows devices to be secured into these compartments safely. You can safely store your wallet and passport, or other valuables, on the other side of the bag in the zipper pocket. I travel hard and quite frequent. When it comes to travel bags, I know I want one I can really bank on. A bag that is versatile, but durable enough to withstand my adventures. Timbuk2 has crafted this backpack from durable waterproof nylon material. It can be easily cleaned without wearing down. The straps are well stitched, so you won’t have to worry about them not doing their job. After a few years, some users report the nylon started to peel. So, it will keep it’s ability to function, it just might not look the best over time! For this reason the Spire isn’t quite as durable as we’d hope for, but for the price it’s a good value. You can snag the Timbuck2 Spire for around $70 bucks depending on the sale. This is a good value. It’s not definitely not overpriced, for all you get. It’s pretty durable and it’s functionality make it practical for everyday use. You can get more expensive backpacks that may stay looking good longer, but the Timbuk2 Spire is a reliable travel companion that will do that job. The Timbuk2 Spire backpack is available online at Amazon and displays many features that could make it an ideal bag. The lightweight rip and water-proof exterior means you can take it with you on pretty much any adventure. Countless straps and loops to hook things on to, and multiple electronic compartments make it a handy backpack for daily use, and longer trips. There is ample space interiorly on the Spire, to safely store your necessities. In addition there are plenty of pockets for various organizational options. For under $100, with a 4.4 star user review, this bag is a good value. It would be an excellent gender neutral gift for a loved one in need of a casual backpack. 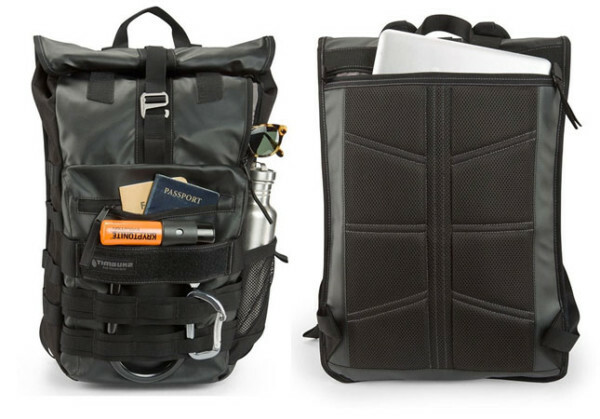 Students, city bikers, and even business people could get a lot of use out of this backpack.